Nelson Mandela’s recent passing brought many tributes to the man who was the first president of a democratic, multi-racial South Africa. He deserved them: Mandela was a remarkable leader, whose sense of when to stand firm and when to compromise helped to advance the demands of his country’s impoverished black majority and to reconcile nervous whites to accepting minority status in a democracy. Craig Charney, who helped establish Mandela’s polling team, saw this first-hand. But what of the other 40-million South Africans? In an op-ed published in The New York Times on the day Mandela was elected in 1994, Craig argued that the social movements, common identities, and shared values of South Africans augured well for the birth of a “wobbly but workable, wheeling-and dealing, pluralist democracy.” The passage of 19 years since has confirmed his argument. Mandela mattered – but so did all the other South Africans, black and white, who overcame anger and fear to establish their Rainbow Nation. As South Africans vote in their first multiracial elections this week, the question is not who will win but what it will mean. The African National Congress is a shoo-in — but will real democracy replace white minority rule? Despite months of tension during the campaign, terrorism in recent days and some disorganization during the vote, I think the answer is yes. Rather than being propelled toward civil war by its cultural and ethnic diversity, South Africa has shown that it has the makings in of a wobbly but workable, wheeling-and-dealing, pluralist democracy. The grass-roots movements that fought apartheid have given birth to a new political balance. Ideological contrasts between the main parties — the A.N.C. and Mr. de Klerk’s National Party — are less sharp than many outsiders realize. The parties differ not on absolutes but on questions of more-or-less, and there are many signs that their constituencies are beginning to accept a common nationhood. Indeed, South Africa’s experience may offer a broader lesson to other new democracies. Political analysts usually suggest that a successful transition from authoritarian rule requires a passive electorate, combined with cozy back-room dealings by insiders. But perhaps the crucible of genuine democracy lies in conflict and diverse social movements. The roots of the new political alignment go deeper. The intense local struggles against apartheid in the 1980’s forged a common South African political identity, forcing the legalization of the A.N.C. in 1990. Since then, the anti-apartheid movement’s protests, boycotts and general strikes demonstrated that Mr. de Klerk could not ignore it. But neither could the National Party, with its strong base in the white, Indian and mixed-race communities, be wished away by A.N.C. followers. True, polls show that the most important factor in South Africans’ voting preferences remain racial and ethnic identity. Around 75 percent of blacks support the A.N.C., while the majority of whites back the National Party. In the mixed-raced minority, those who identify with whites back the National Party, while those who identify with blacks tend to support the A.N.C. Classic left-right issues, such as attitudes toward redistributing wealth or federalism, have little impact on party preference. Indeed, although South Africa has hardly done away with ideology, the A.N.C. is moving to center-left, the National Party to center-right. Consider the A.N.C.’s formula for economic growth: investor confidence, government aid to small businesses and public works. The National Party’s formula? Investor confidence, aid to small businesses and controlling inflation. Surveys show that blacks and whites have a remarkably similar outlook: both groups tend to be conservative on values, liberal on economics. A large majority of both blacks and whites favor respect for authority and the work ethic, and oppose abortion. But there is also support for active government, a welfare safety net and stricter pollution controls. In a land that has known few bonds between black and white, signs of a common nationalism can be found even in TV ads and on billboards, which increasingly show blacks and whites working and socializing together. Judging by polling results and anecdotal evidence, most black South Africans display remarkable good will toward whites. To many observers, the democratic transition nevertheless seemed imperiled by ethnic violence, until the Zulu-based Inkatha Freedom Party agreed last week to take part in the election. In March, a few thousand armed Inkatha marches paralyzed downtown Johannesburg and clashed with the A.N.C. in an incident that left 34 dead; more than 300 people have died since then in Inkatha’s home province of Natal despite the Government’s declaration of a state of emergency there. But the “Zulu threat” that until recently dominated U.S. news coverage of the elections has probably been exaggerated all along. The dramatic TV images of weapon-laden Zulus facing armored personnel carriers in Natal obscured the fact that Inkatha supporters number perhaps 7 percent of the population, and are in the minority among Zulus. According to United Nations observers, 85 to 90 percent of the country remained peaceful in the months leading up to the election. By focusing on the violence in Natal, the media also failed to note the momentum the electoral process had developed around the country. More than 22 million potential voters have followed the campaign through TV, radio, newspapers or contact with door-to-door canvassers. Only 3 percent of eligible voters were missed by nonpartisan voter education campaigns. Nor has the momentum been halted by the terrorist attacks this week. Of course, it would be naive to think that South Africa’s first taste of democracy has had no sour moments. Both the National Party and the A.N.C. had meetings disrupted and supporters intimidated. The situation has been worst in Natal, where 40 percent of blacks live in areas where either the A.N.C. or the Inkatha Freedom Party could not campaign freely because of violent opposition. South Africa has a long history of racism and intolerance, and it will take time for it to be cured of these viruses. Indeed, the voting process itself may be chaotic in places and might have to be extended. Yesterday, when votes were cast by the elderly, the disabled and workers in essential services, ballots werdfe not delivered on time at many points around the country. After the vote, Mr. Mandela’s Government will face greater challenges. Billions will be needed to address the desperate basic needs in black communities, like housing, water, electricity, schools and health care. 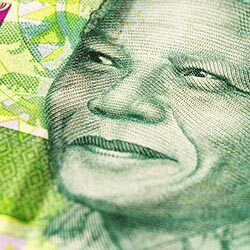 The situation is complicated by South Africa’s increasing foreign debt, Government mismanagement of the economy and the lingering effects of international sanctions, all of which have helped push per capita income down to 1967 levels. The Government’s capacity to meet basic needs will thus depend on its ability to restore growth and move from an economy based on gold, coal and diamond exports to a value-added economy, one based on manufacturing for export, like such other middle-income countries as Mexico and Brazil. Yet it must be remembered that South Africa is a third-world country, and it should be judged accordingly. While it is true that 10,000 people have died here in political clashes since 1990, the wonder is not that the transition from apartheid to democracy has been so violent but that it has been so peaceful. Compared with other third-world countries, South Africa is fortunate to have relatively strong parties, responsible leaders and an emerging political system that has institutionalized mutual respect born out of collective organization and struggle. During the uncertain months before the election, inspiration has alternated with perspiration. Today, as South Africans vote, there is more reason to hope for democracy than to fear a descent into chaos.